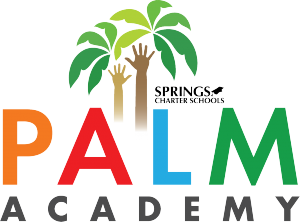 _ Grades TK-8, at Palm Academy, students attend classes 5 days per week; Wednesday is a half day. Grades 9 – 12, Keys Independent Study students work independently and attend meetings with ES weekly. They have opportunities for select academy classes, online foreign language, Internships, and CTE courses where available. Grades TK-12, Homeschool students and their parents work closely with a California credentialed Education Specialist to choose the right combination of personalized learning programs.